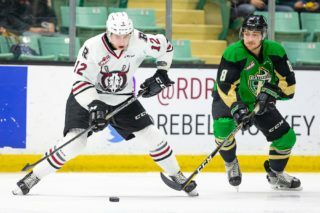 With the Sherwin Williams CHL/NHL Top Prospects game coming out west this year, the Red Deer Rebels were the natural choice to host the event. 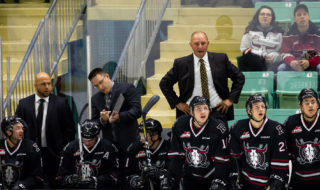 Rebels president/GM/head coach Brent Sutter approached the Western Hockey League and the Canadian Hockey League to express interest in hosting the contest and received a thumbs up from both parties. 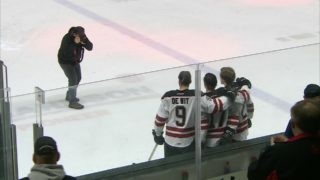 As a result, the 40 highest regarded North American major junior players eligible for the 2019 NHL entry draft will be on display Wednesday at the Centrium, where Team Cherry will take on Team Orr. “The NHL and Central Scouting has been recently going into smaller buildings to play these game,” said Sutter. “Last year it was in Guelph (Ont.) and Kelowna has also hosted it. Unlike a regular all-star game, the players involved in the Top Prospects contest go all out with the knowledge that they’ll be performing in front of numerous NHL talent evaluators. While the game is a measuring stick for the players in regards to going up against their CHL peers, it’s not a make-or-break event, especially for the higher-ranked players. “It can certainly change the dynamics for an individual if he stands out. Impressions are everything for a player who may be ranked a bit lower,” said Sutter. Sutter will join Ron MacLean and London Knights GM/head coach Dale Hunter on the Team Cherry bench. Rebels forward Oleg Zaytsev, ranked 37th among North American skaters in the latest Central Scouting rankings, will suit up for Team Cherry. “Oleg is excited and maybe a little nervous,” said Sutter. 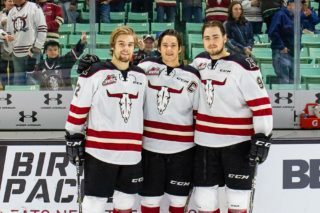 See the Top Prospects game rosters at reddeerrebels.com (posted on Jan. 9). Notable: Rebels forward Alex Morozoff is No. 182 on the most recent Central Scouting list while Ethan Anders is ranked 13th among CHL goaltenders eligible for the 2019 NHL entry draft . 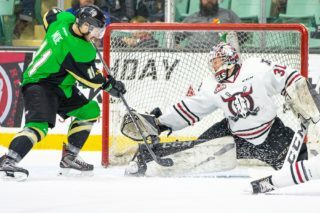 . . Rebels overage forward Jeff de Wit is expected to play against the visiting Medicine Hat Tigers and Prince George Cougars Friday and Saturday after leaving last Saturday’s game versus Lethbridge and then missing Sunday’s game in Calgary with an upper body injury. Meanwhile, Alex Alexeyev also left Saturday’s game on a temporary basis, but after playing the remainder of the contest couldn’t go Sunday in Calgary. The Russian rearguard is listed as week-to-week with an upper body injury.